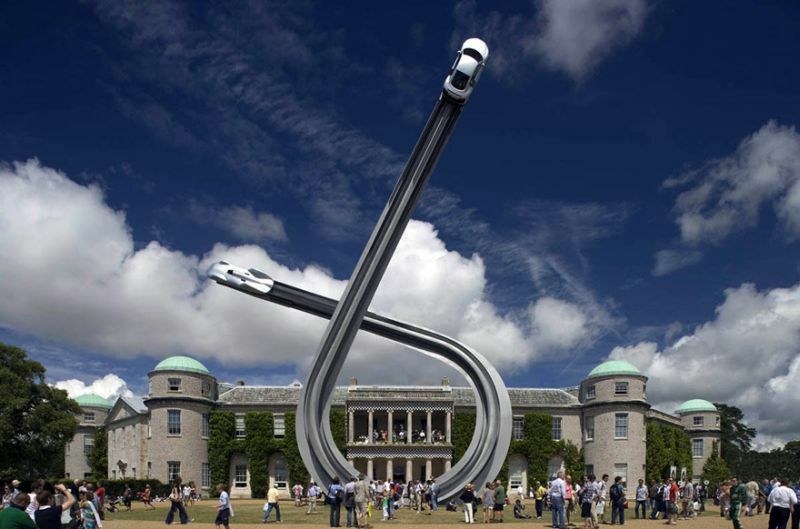 Almost looking like the great Gateway Arch with zooming automobiles on its grand curve – this incredible sculptural/architectural masterpiece is the handiwork of artist Gerry Judah. 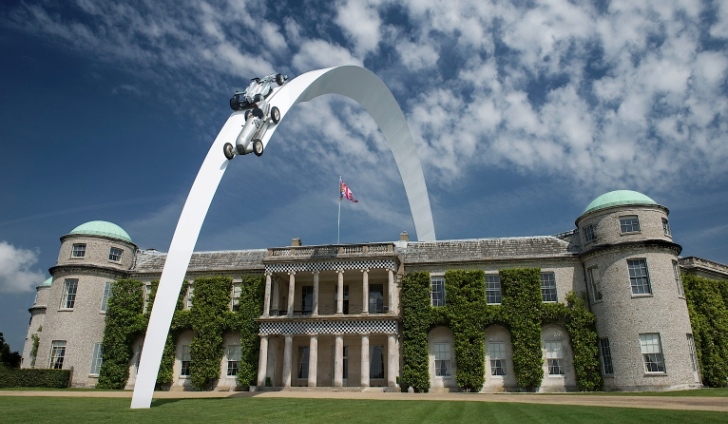 The imposing installation was unveiled at the Goodwood Festival of Speed (FOS), a three-day festival that is held every year in the estate of the historical Goodwood House in West Sussex, England. 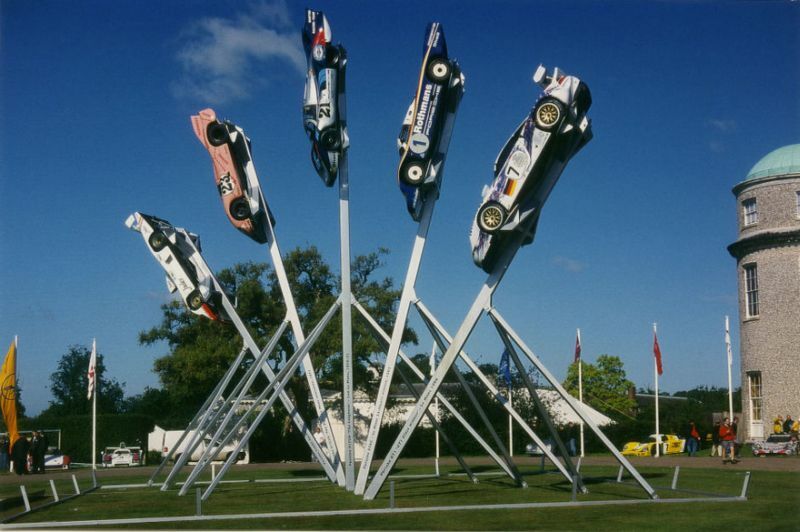 And, the inspiring part is – the Kolkata-born Judah had been crafting his humongous Motorsport-inspired monuments for the last eighteen years in every FOS event. This year around, it was Mercedes-Benz models that stole the show – with the creations representing two ends of the expansive time spectrum of the automaker’s exalted history. 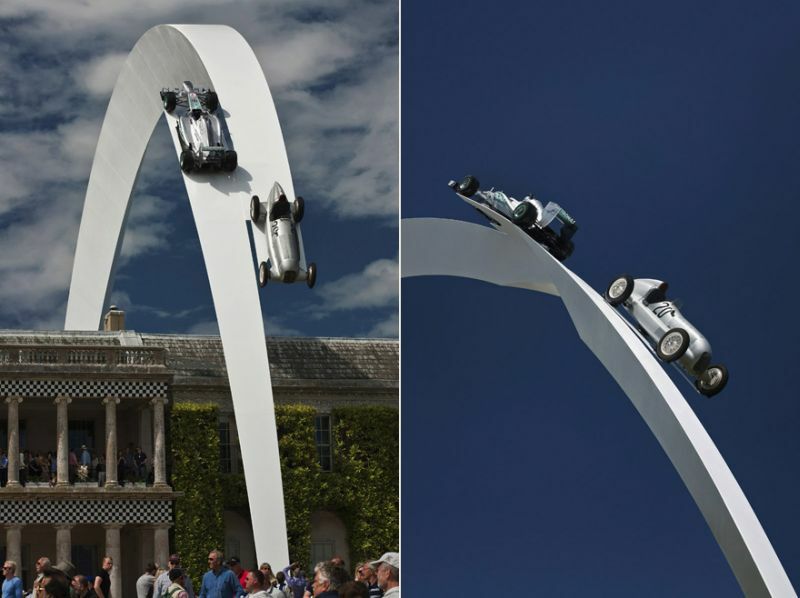 To that end, the 2013 Mercedes F1 W04 model seems to exuberantly burn its rubber from the front lawn, while it deftly passes by the 1934 Mercedes-Benz W25 that makes its classy descending motion. 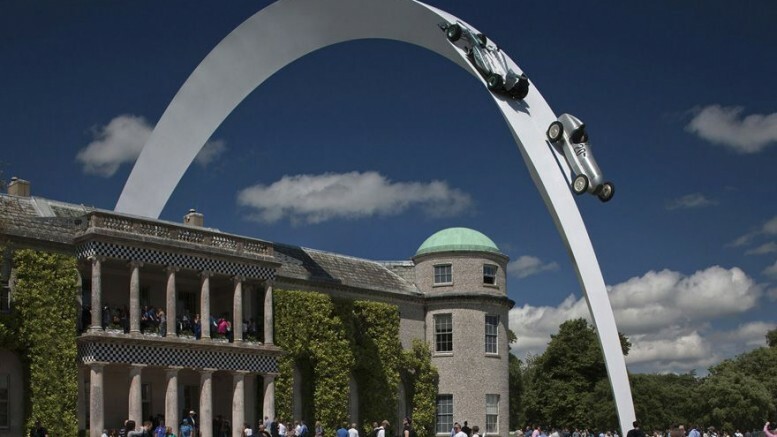 The entire sculptural scope thus covers 80 years of sports-car development from the renowned automotive company. 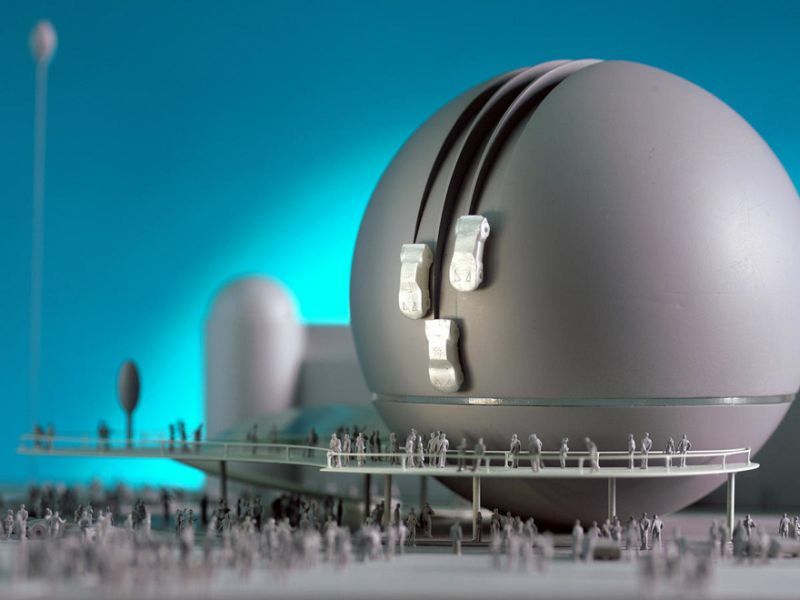 The construction is however not only about cars and symbolism, it also vaunts its ginormous credentials. 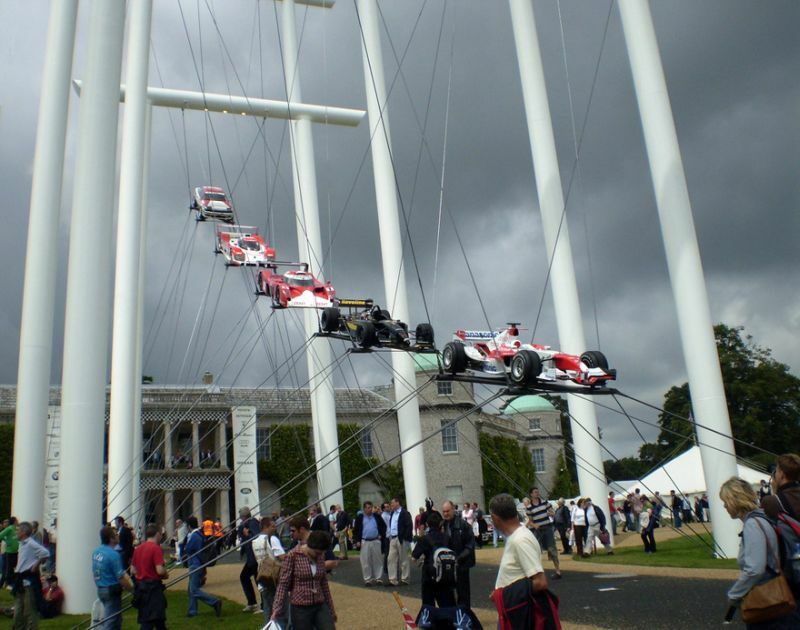 In this regard, the dimensions of the automotive installation (a collaborative effort from Capita and Littlehampton Welding) account for a whopping 90 m long parabola that weighs a massive 170 tons. There is also some degree of finesse to the ambit with the parabolic shape showcasing an extruded triangular embodiment that ends in two abating forms. You can also take a gander at some examples of earlier automotive installations (below) that have been set up over the years, with the honor roll boasting of well-known automotive forces like Audi, Porsche, Toyota and Ford.